The Illawarra hosts a beautiful array of unique and special bushwalks – and with such a variety, you can be sure to find the right track that suits your fitness level and experience. Here are five handpicked walks to inspire that outdoor adventurous spirit. An interesting trail for experienced walkers, which takes you to gorgeous outlooks. The walk is a little longer than most in the region and meanders through various types of bush with immense biodiversity. Along the way, there is sporadic signage which points out some fascinating trees and facts – so keep an eye out! Princes Highway, Maddens Plains, just south of the golf course, continue north along the trail. A popular beginners’ walk, which is especially good for those with young children or reduced fitness levels or mobility. A great walk any time of year, where you’ll enjoy plenty of wildlife such as the cheeky lyrebird, and only a short walk to one of Wollongong’s most gorgeous waterfall cascades. This track is part of a suite of spectacular waterfall walks in the Macquarie Pass National Park. Wow factor: Gorgeous waterfalls, lush rainforest and wildlife. Difficulty level/distance: Beginners – a short 30-minute stroll. Start point: Access the trail at the bottom of Macquarie Pass on the Illawarra Hwy, Tongarra. How to enjoy the walk: Take the kids on an exploration around the river bed, zen out with a quiet meditation, practise your photography skills at the waterfall. On the Griffiths Loop Trail, you can choose your own adventure in terms of length and difficulty – with options to take a short stroll to Illawarra Lookout or extend to Cooks Nose with views overlooking Jamberoo Valley. Wow factor: Illawarra Lookout, sweeping views across Barren Grounds, birdwatching and gorgeous wildflowers. Difficulty level/distance: Beginner to intermediate. Pick the distance and pace that is suitable for you. Griffiths Trail is 8km long. Start point: This walk starts on Jamberoo Mountain Road, Jamberoo. How to enjoy the walk: Take your binoculars for some birdwatching, have a dip in Stones Creek and take a selfie at Illawarra Lookout. Picnic facilities available. One of Wollongong’s most beautiful and unique walks. Depending on the weather, you may see a plethora of fungi, enjoy an eerie walk in the clouds or simply get to absorb the iconic Wollongong coastline and Lake Illawarra views. A beautiful, short-yet-challenging walk for any time of year, where you’ll enjoy plenty of wildlife. Wow factor: Get the heart pumping and take on a steeper walk, or take your time and check out the fungi and wildlife. Difficulty level/distance: Intermediate. A steady pace will take you one-and-a-half hours. Start point: Kembla Lookout on Cordeaux Road, Mt Kembla. How to enjoy the walk: Set your timer and have a great workout. Or chill out with the kids or a camera and see how many types of fungi you can spot. Try to point out some of Wollongong’s significant landmarks from the viewpoint. Rugged bush, wide open trails, and the beautiful Stokes Creek Gorge – this trail is suitable for a family day out to enjoy the great outdoors and get some exercise. This trail is also bike-friendly, and by bike is the best way to conquer it! Wow factor: Feel the fresh air and sun on your face as you coast along the trail on a bike. Difficulty level/distance: Intermediate. The trail is 30km return. Start point: This walk starts on Appin Road, Appin, at a gated service trail. How to enjoy the walk: Ride! 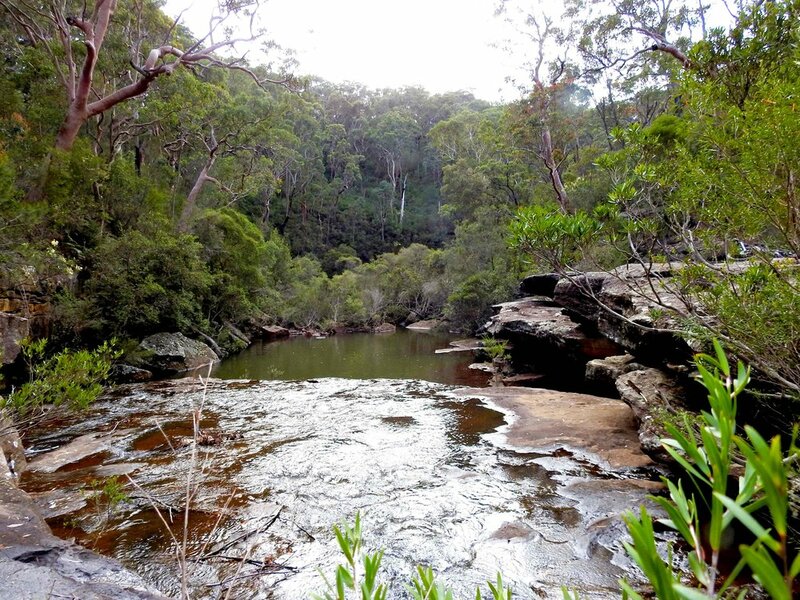 Have a refreshing dip at Stokes Creek Gorge, pack a big lunch and chill out for the afternoon before the ride back. NOTE: The Illawarra is home to many precious and sensitive environments – please stay on the trails and take all rubbish out with you. Always let someone know where you are going, pack plenty of water and ensure you are well prepared for changing weather conditions. Be aware of your own ability and limitations to avoid injury.